Speaking to Saj (for The Cricket Paper), England batsman looked forward to his stint at the IPL and spoke about his aspirations of playing more games for his country. The Indian Premier League continues to set new standards for franchise-based Twenty20 cricket in terms of quality and financial rewards for the participants. To be selected for such a prestigious tournament is a major achievement and if the total spend of close to £11.5 million on players for the 2019 edition is any yardstick, the tournament is heading from strength to strength with each passing year. For Lancashire’s Liam Livingstone, being picked for the IPL team Rajasthan Royals was a surprise but also a dream come true as he explained. To be part of the team who were the title winners in the inaugural edition of the IPL in 2008 must be a matter of great pride for 25-year-old Livingstone and he makes no secrets about his keenness to play in the world’s top Twenty20 tournament, “I know that there are three other English lads in the Rajasthan side which is nice for me so at least I will have some familiar faces in the environment when I get there. I have spoken to Jos Buttler who has been very complimentary of the team environment, so, yes, I am looking forward to getting amongst it all and out there and seeing what the IPL is all about,” he added. 2019 will also be the first year that Liam Livingstone will be taking part in the Pakistan Super League which will be played in the UAE and Pakistan. With the start of Pakistan’s premier Twenty20 tournament now just a few weeks away, Livingstone is looking forward to participation in the PSL and is very pleased that it was the great Pakistani fast-bowler Wasim Akram who had a huge hand in his selection for the Karachi Kings. To work with Karachi Kings’ Mickey Arthur, who is Pakistan’s Head Coach and widely regarded as one of the top professionals in his field is bound to be a great opportunity for Livingstone and a great learning experience as well. “To have a national coach in-charge of our team will be great fun for us. I have heard a lot of good reports about Mickey Arthur as a coach and am sure there will be plenty to learn from his experience. It will of course be a little different for me to be a franchise player in an overseas tournament and to experience the pressures that come along with that. So, I am looking forward to that opportunity in the PSL, both in terms of the on and off the field experiences, “ he added. The fervour and enthusiasm for the game of cricket which is found in Pakistan does not have many parallels and for Livingstone the chance to play in Karachi and Lahore will be an experience he is looking forward to. With the popularity of the Twenty20 format now challenging the established Test and ODI formats, the world of cricket is also being given a taste of the ten-over version of the game with the tournament in UAE but is that the future of cricket? To Livingstone, T10 or any newer format will be a success as long as it provides entertainment for the masses. To be compared to the now retired England and Lancashire’s famed all-rounder Andrew Flintoff would indeed be an honour for any young player as is the case for Livingstone. However, the current Lancashire all-rounder feels that comparisons to Flintoff are premature until he starts to grow as a cricketer and realise his potential. 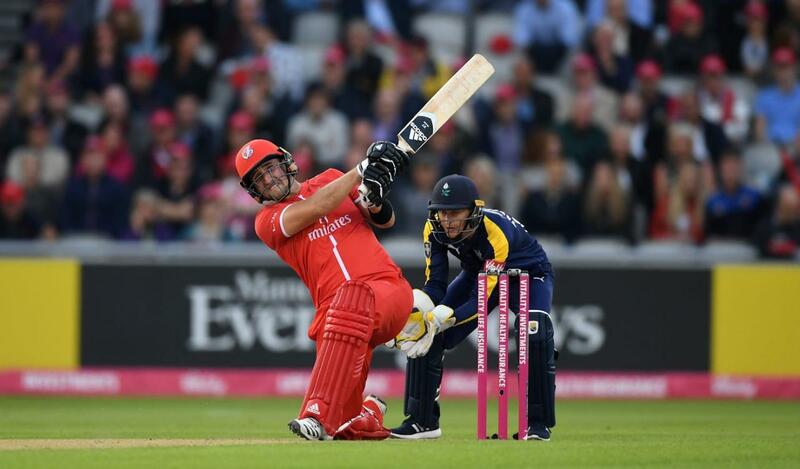 Lancashire have had a proud history over the years and for Livingstone, the current side has all the ingredients to win more trophies and he has no doubts about the aims and what the future will bring for this talented group of players. To tour with the England Lions has long been considered a precursor to a possible place in the senior side. For Livingstone, the experience he has gained from his association with the England Lions is simply invaluable and is something which will hold him in good stead in the future.